At last, the long-awaited fifth volume is finally available! As we have stated before, Safari Press undertakes to produce a book on trophy rooms only when we can find enough rooms for inclusion that satisfy our high standards. The rooms we include in our series of books simply must be of the very highest caliber. Besides some of the greatest North American trophy rooms ever seen, extra effort was made to include some stunning European, South American, and even Russian collections. In this fifth volume we have assembled a large number of rooms that are more like natural history museums than rooms one would find in private residences. See Chester Mjolsness’s mounts of animals from every continent except Antarctica; Azam Khan’s collection of birds from around the globe; and Fidel San Roman & Anabel Moran’s trophy room with Old World charm that features full mounts of African game, including two full-size giraffe mounts and multiple lions in action poses. Oleg Andreev has a palatial log cabin that features a huge African and Asian collection; his dining room alone has dozens of elk as well as red deer. Jesse Kirk trophy rooms feature dioramas, making it seem as though you are walking into the African veldt or onto an Asian mountain. Joe Bishop’s collection, which we featured in an earlier volume, is now greatly enlarged; his stunning new rooms not only feature trophies but artifacts, guns, books, and even a skeleton of a gigantic cave bear! Space is too short to list all the rooms, but the lineup and versatility of this volume is truly world class. 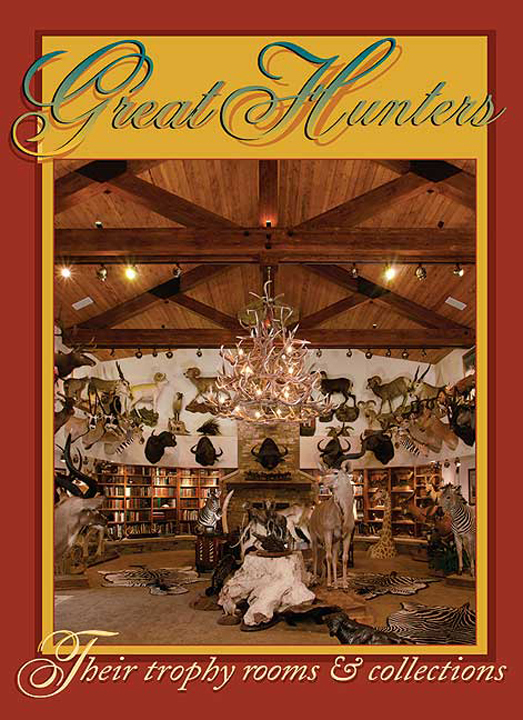 No other series of books focuses on quality rooms like the Great Hunter series produced by Safari Press. Our promise to our customers is that we will either publish a superb book with superlative rooms, or we will publish no book at all. Submit your review for "Great Hunters, Volume 5"